Zubayra Shamseden comes from an old and deeply religious Uyghur family and is Chinese Outreach Coordinator for the Uyghur Human Rights Project (UHRP), a documentation and advocacy group based in Washington, DC, and a Fellow at the Institute for Global Engagement’s (IGE) Center for Women, Faith & Leadership (CWFL). She has been campaigning for the human rights and political freedom of the Uyghur people since the late 1980s. 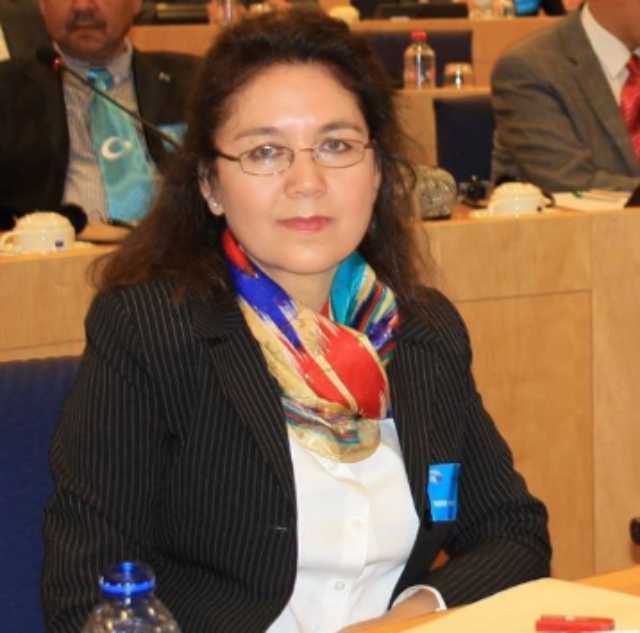 Before joining UHRP, Ms. Shamseden worked as Information Officer, Researcher and Translator at the International Uyghur Human Rights and Democracy Foundation (IUHRDF). Ms. Shamseden has worked for nonprofit, academic and government organizations in Australia and in the US for over two decades. Bitter Winter regularly covers the persecution of Uyghur Muslims. We have asked Zubayra Shamseden to tell us her personal story and to describe the current situation of the Uyghur people in China. As many Uyghurs, she prefers not to use the name “Xinjiang” for the province of China where most Uyghurs reside. 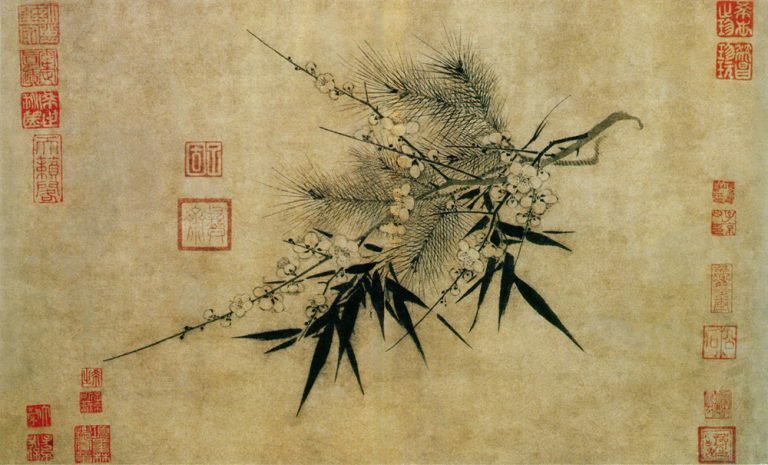 The name was given to the region by the Chinese Qing Dynasty and it means “New Borderland” or “New Frontier” (of China). For most Uyghurs, the name “Xinjiang” includes in itself a colonialist statement. They use “East Turkestan,” a geographical name coined in the 19th century, which was used by two short-lived East Turkestan republics independent from China, the first an Islamic one in 1933–1934 and the second backed by Soviet Union between 1944–1949. In turn, Chinese normally contest the use of “East Turkestan” and dispute the legitimacy of the first and second East Turkestan republics. American scholar Rian Thum has proposed to use the old term “Altishahr” (Six Cities) to solve the issue, but his proposal has not gained general acceptance. You have been an activist for Uyghur culture and rights for a long time. Can you tell us your personal story? I was born and raised in a religious, intellectual Uyghur family. My family values, in fact the values of whole Uyghur society, are to strive for a peaceful, happy life. Our cultural and religious tradition teaches us that peacefulness and happiness come from fair, equal, honest and rightful family, and society. Most importantly, it comes from the top. Government is supposed to govern based on those moral principles, and protect all citizens from harm. I completed my elementary and high school education in my homeland, East Turkestan (Xinjiang), and received my higher degree from a university in inner China. Actually, I have a certification in Chinese from the Industrial University of Xinjiang and a bachelor’s degree in Library and Information Science from East China Normal University (华东师范大学), in Shanghai. After completion of my university studies, I came back to my hometown and worked for the Academy of Science. At the beginning, since I completed university in mainland China with Chinese students, I received treatment similar to Chinese graduates from mainland China. The Academy allowed me to be involved in a few projects, most notably doing observation in the South part of East Turkestan in 1990. Another project was teaching computer skills to Uyghur university students in a local college. Later, I went to Kazakhstan to study Russian language and literature for one year at State University of Eastern Kazakhstan, and then came back to my home country in 1992. My education and work experiences gave me eye-opening knowledge about Uyghur educational, cultural and societal conditions. 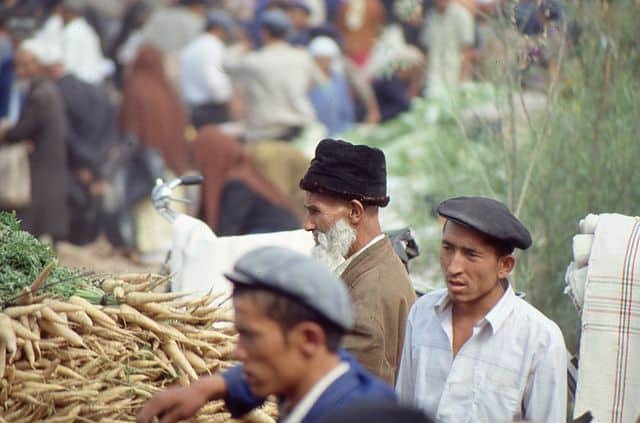 We were taught and instructed to say that the underdeveloped Uyghur society at that time, whether in education, economy, culture, or other areas, was due to Uyghurs’ own “laziness,” not knowing the Chinese language, and Uyghurs not being willing to integrate into Chinese society. However, my childhood experiences, and later the treatment of “minorities” in what China calls “Xinjiang” that I witnessed as an adult, taught me that the opposite was true. 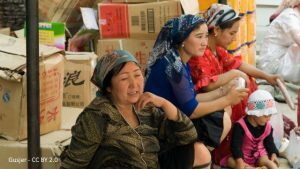 In reality, the Chinese government was systematically marginalizing Uyghurs, requiring them to conduct “self-criticism” if they were not fluent in Chinese, and sending the message that they should feel inferior in every way. At the same time, the government of course imposed harsh censorship and economic and political control. I had my first questioning interaction when I was working at the Academy. I asked the administration why the Xinjiang branch of the Academy of Science didn’t operate in the same way as the branch in Shanghai. In Shanghai at that time, they didn’t have any political meetings at all, so why did we have weekly “political education” meetings in Xinjiang? Isn’t “Xinjiang” a part of China? From that incident onwards, combined with my travel to the more-open countries of Central Asia, I looked with new eyes at the operations of the Academy, as well as local government and security forces. As a result, I didn’t see my future in my hometown, although I was fluent in the Chinese language, very familiar and well versed in Chinese culture, and a top graduate. I left the country in 1993. I then lived in Australia for 17 years. I earned a master’s degree in International Studies from the University of South Australia, for which I focused on the modern history of Uyghur human rights During those years, I spent most of my time working for our community; contributing to Uyghur culture and language education; and raising awareness about Uyghur human rights to the outside world. I came to the USA in 2009 to work, at the invitation of Ms. Rebiya Kadeer, a well- known Uyghur leader. Now I am a Fellow at the Center for Women, Faith and Leadership, at the Institute for Global Engagement, a program that promotes the leadership roles of women of faith. I also work for the Uyghur Human Rights Project as a Chinese Outreach Coordinator. My role at UHRP is to reach out to Chinese speakers in China and around the world, to help them understand the severe human rights situation facing Uyghurs from the Uyghurs’ perspective. What are the historical roots of what some call “the Uyghur question”? There is no issue called “the Uyghur question.” I wish to state that we should be very careful in choosing terms to describe what are we talking about. There is no such a thing called “the Uyghur question,” but there are huge issues in understanding “what questions do Uyghurs have?” Uyghurs only wish to have what they are entitled to under international human rights law and the Universal Declaration of Human Rights, which is a core founding document of the United Nations. No Uyghur wants to become any one’s “question” or problem. Speaking historically and even now, all Uyghurs want is to live a peaceful life in their own homeland without oppression, deceit and destruction, the colonial-style suppression of their rights and freedoms that Uyghurs have suffered since 1949. How is China dealing with the Muslim Uyghur population? Currently, China is treating the entire Uyghur population as an enemy of the Chinese state. Just being a Uyghur is becoming a crime in the eyes of Chinese government. The detention of over one million Uyghurs without due process in to the so called “transformation through education camps,” and the high-tech, blanket-surveillance security state that the government has created in East Turkestan, tell the world that China determined to “re-engineer” the Uyghur people. Up to two million people who have not disappeared into the camps have to attend day-long “political education” classes. In these classes, Uyghurs are forced to denounce their religion and their identity, sing songs praising the Communist Party, and shout slogans praising Xi Jinping. What about the other Muslims in China? According to reports—for example by Human Rights Watch (“Eradicating Ideological Viruses:” China’s Campaign of Repression Against Xinjiang’s Muslims, September 9, 2018), and the recent UHRP report, The Mass Internment of Uyghurs: “We want to be respected as humans. Is it too much to ask?”—other Turkic Muslims, i.e. Kazakhs, Uzbeks, Kirgiz, and Tatars, are now also facing the same treatment as Uyghurs in East Turkestan. 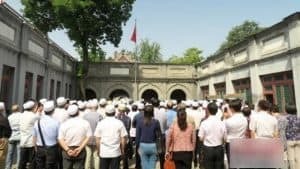 Hui Muslims, who speak Chinese as their mother tongue and live in many parts of China, had a reasonably relaxed atmosphere a few years ago, according to an excellent Freedom House report: The Battle for China’s Spirit: Religious Revival, Repression, and Resistance under Xi Jinping. However, recent reports indicate that Hui Muslims are also now facing problems. 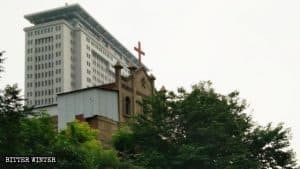 In a word, Chinese government sees religion as “poison,” especially religions like Islam, Christianity, and Tibetan Buddhism. 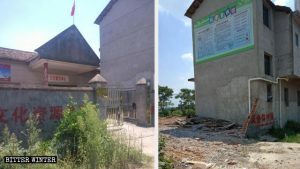 The CCP’s new campaign for the “sinicization” of religion is causing widespread religious repression and suffering for religious people in China. Did the situation become worse with President Xi Jinping? Why? Yes. Xi’s grand plan of “One Belt One Road” initiative is a symbol of how he wishes to establish himself as an all-powerful leader, like a Chinese emperor who was at the center of the entire world in the dynastic worldview. His paranoia and need for control are reflected down through all officials. They feel they must “strike hard” on any dissent, or they themselves will be accused of being disloyal to the Communist Party. Uyghurs are a major target of this need for extreme control, leading to the largest detention of an ethnic group since the end of World War II. What is the condition of the Uyghurs in the “transformation through education” camps? According to reports and people who have spent time the “camps,” the conditions are horrible. They describe overcrowded conditions, bad food, torture, abuse, intense daily psychological pressure, and a range of punishments. Uyghurs are forced to repeatedly denounce their faith, and criticize their past beliefs and religious practices. Muslims are reported to be forced to eat pork and drink alcohol. All camps and “political indoctrination” classes require people to sing “red” songs, praise Xi, and show their gratitude to the Chinese Communist Party. There are reports of deaths in detention and many have become mentally ill in the camps. So far, almost nobody has been released alive. How are the Uyghurs in the diaspora working to have their voice heard? Uyghurs in the diaspora are standing up, despite their fear and despair for their loved ones in their homeland. Rushan Abbas spoke last week at a forum in Washington, DC, about losing contact with 14 nieces and nephews, ages 3 to 22, and their parents and grandparents, since the new camps opened in April 2017. She doesn’t know where they are and cannot contact them. Turghunjan Tursun, a Uyghur living in Turkey, recently spoke out in a video posted to social media about his wife and young sons being detained, along with almost a dozen other relatives. Uyghur human-rights defenders have met with officials in the White House, the U.S. State Department, and Foreign Ministries and Parliaments around the world. Uyghur organizations like the World Uyghur Congress have submitted detailed documentation and parallel reports to UN bodies and foreign ministries around the world. We are urging them to reconsider the “business as usual” attitude with China at a time when it is holding a million or more people in ethnic internment camps. Your readers can do the same. 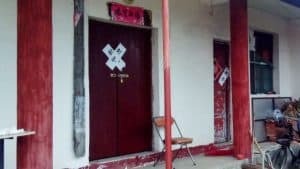 Please help us raise awareness and ask your governments whether “business as usual” is morally right at a time of extreme and almost unimaginable ethnic and religious repression in China. What can the West do for the Uyghurs? 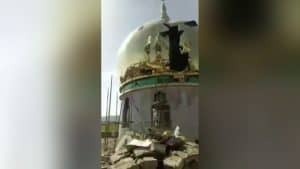 The Chinese officials responsible, such as Chen Quanguo, the region’s Party Secretary, should face visa bans, sanctions, and strong condemnation from religious leaders and governments around the world, including governments of Muslim-majority societies. 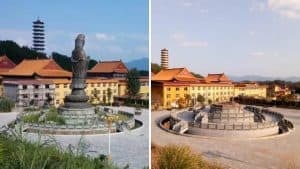 Universities should tell their Chinese partners that they cannot conduct ordinary academic exchanges when there is a systematic campaign of ethnic and religious suppression going on at the hands of their government. Tourists should consider whether they are comfortable taking a holiday in a country that is engaged in a massive campaign of human rights violations against its own Turkic Muslim citizens and other religious believers.